In this city, scoops are vegan, made from goat's milk and ensconced in fairy floss clouds. Few things excite the summertime senses of Sydneysiders more than ice cream. 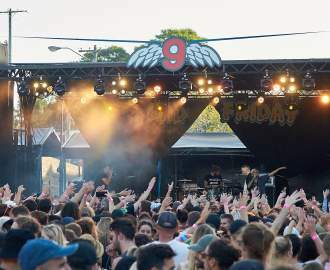 Aside from beer and the beach, it's one of the most definitive features of an Australian summer. 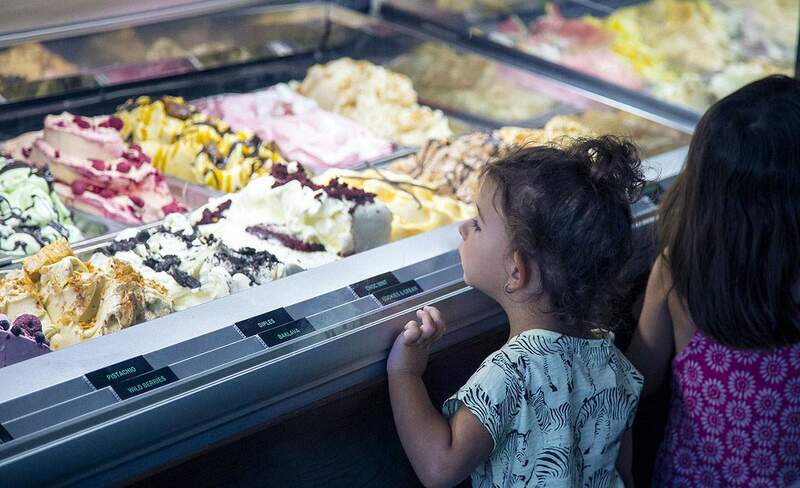 All across the city there's a fantastic array of flavours to be sampled, from black sesame to champagne sorbet to ice cream you eat with a fork. And while your corner shop Golden Gaytime will always be awesome, Sydney has a staggering variety of ice cream options. To help you out, we at Concrete Playground have painstakingly compiled a list of our favourites. 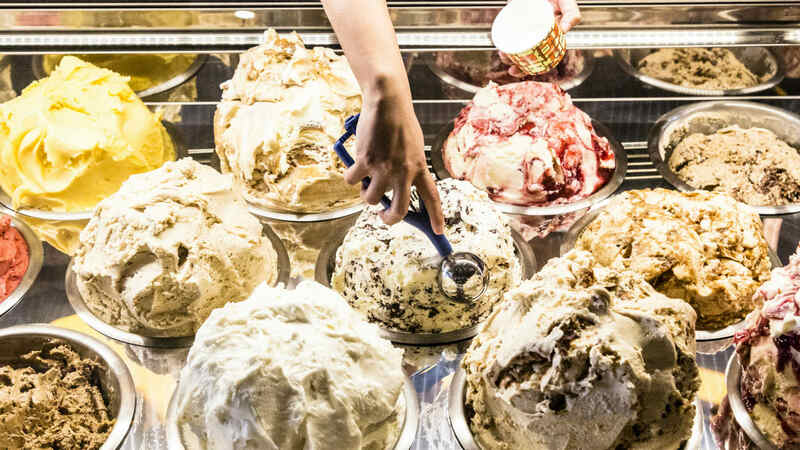 With a full three months of summer, we encourage everyone blessed with a sweet tooth to search out some of the best ice cream Sydney has to offer. 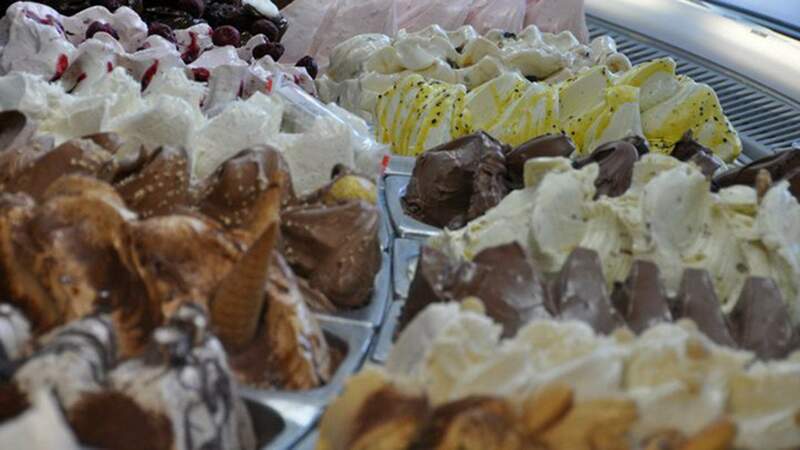 Gelato Messina is widely touted as some of the best gelato outside Italy. They make ice cream the way it was made 100 years ago, with all of their flavours created on site with premium ingredients exclusively. The range of forty flavours rotates every day, and they also do ice cream cakes, which are beyond amazing. Some of the particularly good flavours include salted caramel & white chocolate, coconut & lychee and the blood orange sorbet. Should you be unable to make up your mind, there is a try before you buy option, but this is a sacred privilege, so don't take advantage. With a bustling stream of people all the time, all year round, Messina is truly spectacular, and everybody knows it. There aren't many foods that can bring a smile to a Sydneysider's face quite as quickly as gelato. Australian-born, Italian-influenced entrepreneur Kieran Tosolini knew this all too well when he brought his Bologna-based chain RivaReno back with him from The Boot to spread the creamy love on Crown Street. Here, everything is Italian and the signature and most popular mascarpone flavour, dubbed Alice, comes drizzled with a fine layer of gooey melted giandiuia (chocolate and hazelnut) and lives up to its European dairy cream heritage with an added splosh of Marsala Vergine Soleras (a scrumptious aged dessert wine). The sorbets are all made on premises, have only the minimum amount of sugar, and really do taste like the fruit they're made from — try the Peach, you'll see exactly what we mean. You should also try a Granita, a refreshing and simple summer-must-have drink made from fruit, sugar, and water. The raspberry is delicious. As an added bonus, RiveReno has (fairly) recently expanded — opening a second location over in Barangaroo in 2016. 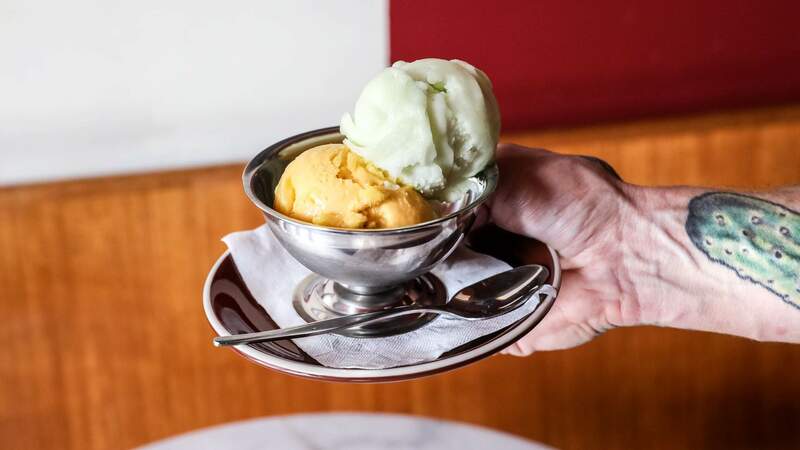 While the bigger players dominate much of the attention in Sydney's gelato scene, the smaller businesses, like Redfern's Ciccone & Sons, are harbouring some of the city's most lickable delights. Ciccone's menu, displayed on an old-school red felt letter board, is limited to ten flavours that change depending on what is in the on-site churner. It is serious about quality ingredients; the creamier flavours like stracciatella, honeycomb and chocolate use jersey milk from Sungold Milk (part of Australia's oldest dairy company). Pepe Saya provides the dairy behind popular flavours mascarpone and strawberry and buttermilk. In summer, things lean a little more to the fresh and fruity side with coconut and watermelon granitas and sorbettos making an appearance. 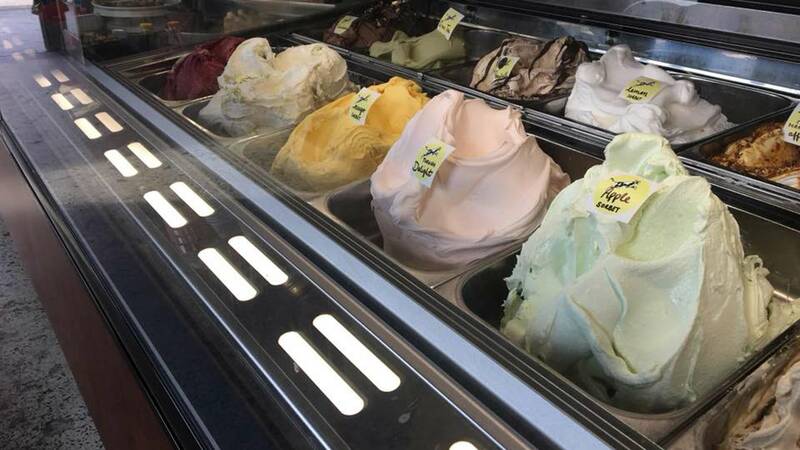 The gelataria has also started experimenting with unique soft-serve flavours, including lemon cheesecake and Eton Mess. Sweet tooths looking for the ultimate Instagrammable treat should look no further, Aqua S is bringing your candy-fuelled search to an end. 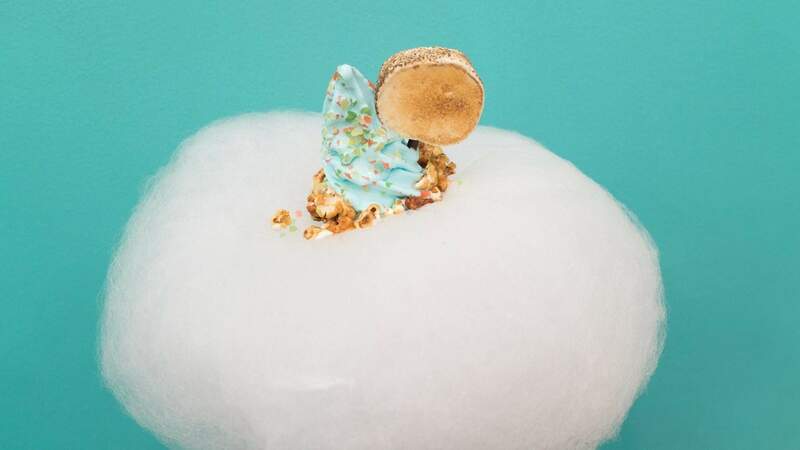 A soft-serve specialist, Aqua S serves up sea salt-flavoured soft serve, topped with a pillowy bed of fairy floss, sweet popcorn, popping candy and a grilled marshmallow. And looks like an actual cloud. Take. Our. Money. Sea salt soft-serve is obviously not a new thing — you can thank Okinawa, Japan for it. If you're not down for sea salt soft-serve, you can choose from two others on tap — changing every two weeks. Who knows, you could be inhaling biscotti soft serve, lemon squash, pandan, mint tea, mocha, peach iced tea, lemon cheesecake — anything. Keep things simple with a single soft-serve 'scoop', or blend up those flavours with mixed 'scoops' — and you can pick and choose from those ridiculous-sounding toppings. 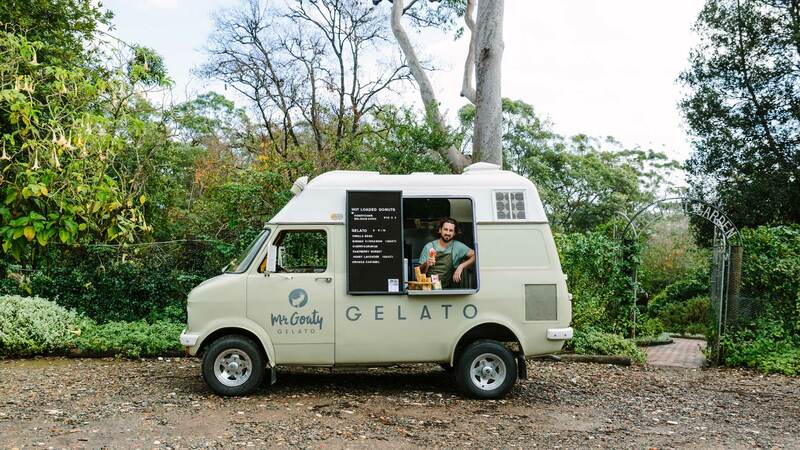 If you're happy to travel for your gelato — or happen to be spending a weekend on the Central Coast — head to Mr Goaty Gelato. Founded by Dan Hughes, formerly a chef at Sydney's Three Blue Ducks, the award-winning brand is known for its signature flavours made using goat's milk, which are lighter in sugar, but equally creamy. You'll find it out the front of Distillery Botanica, a stunning garden distillery is from the distiller behind Mr Black cold drip coffee liqueur — which you can sample and purchase here, too. Many of Mr Goaty's flavours — goat's milk, cow's milk and dairy-free — are made using plants grown in the distillery garden, including the honeycomb and lavender and lemon myrtle macadamia. 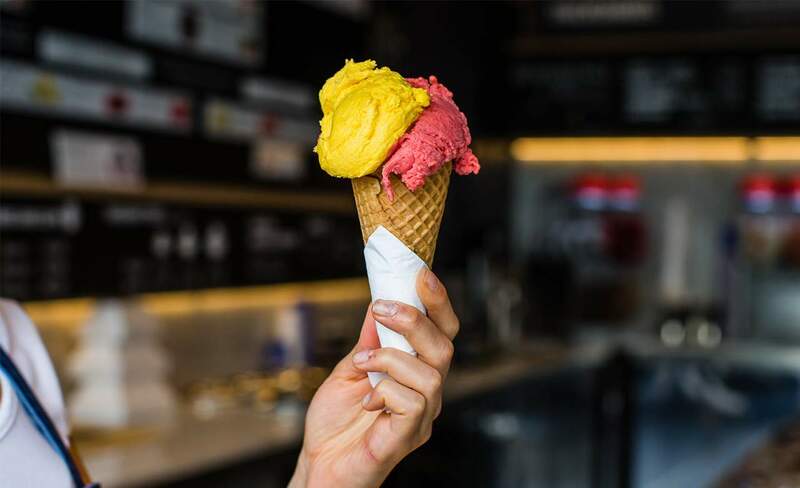 This teeny tiny shop on Enmore Road looks fairly inconspicuous from the outside, but its gelato has become a piece of local knowledge that everybody wants to keep on the down-low. Cow and the Moon make their gelato on-site, and they have a lab out the back of the shop where they presumably house a hoard of oompa loompa-types concocting magical things from rivers of milk and caramel. Hit flavours include the caramelised fig & walnut, caffe latte, and merango tango, which is essentially lemon meringue pie in the guise of an ice cream. In the lucrative field of sorbets, the chocolate is one of the best around. Also, the price is particularly reasonable and the vibe relaxed. Cow & Moon also does a very good coffee, often reported to be one of the best in Sydney - a hell of a claim in a city like this. 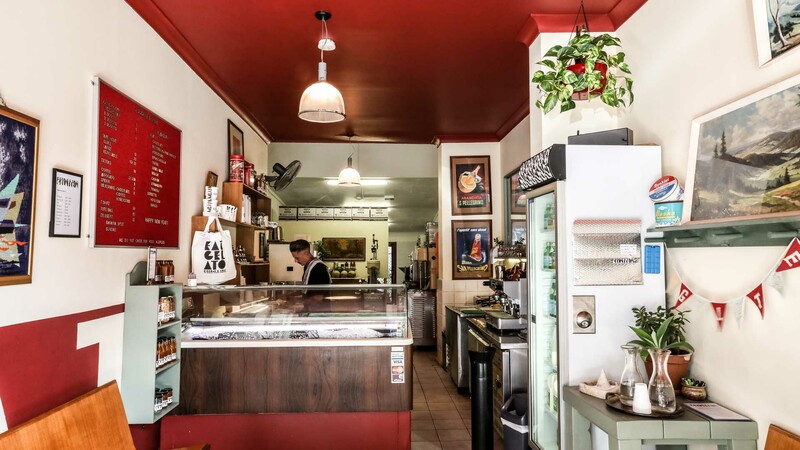 Serving up a range of Greek-style ice-creams on Marrickville's Victoria Road, Pagoto makes all its ice-creams on-site, with the flavours using traditional ingredients and sweets. Try a fragrant and bright pink Greek delight; Greek yoghurt with honey, walnuts and cinnamon (a typical after-dinner sweet in Greece); and a range of traditional honey and walnut pastries, including baklava, kataifi and diples. The watermelon and feta combo is a surprising stand-out — a creamy and salty-sweet, pink offering inspired by the traditional Greek salad. But the mastiha is fast becoming a favourite with locals, a truly traditional Greek flavour that's found in ice-cream stalls across Greece that's made with the strong flavour of mastic, a resin from the Mediterranean mastic tree that is kind of similar, but not really, to aniseed. You just gotta try it. Newtown's cult favourite Turkish ice creamery Hakiki has been impressed Sydneysiders since early 2015. 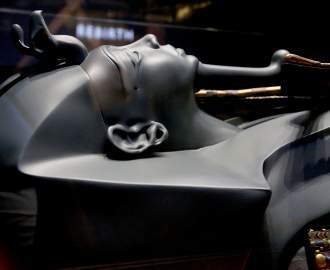 It has earned quite the reputation for its traditional Maras-style ice cream — which is smooth and creamy, yet drip-free and melt-resistant, until the second it hits your mouth. The signature serve is so thick, it's best tackled with a knife and fork. The ingredient that gives the ice cream this unusual texture is an orchid root grown in southern Turkey. 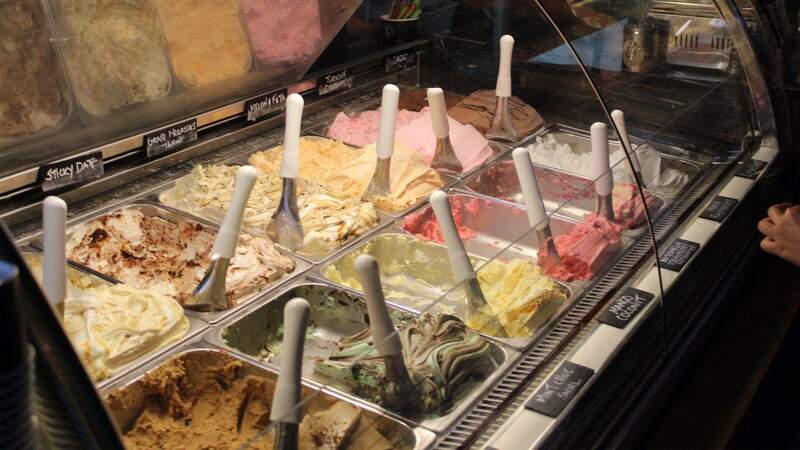 Alongside classic Anatolian treats like baklava, Turkish delight and rich Turkish coffee, the Bagriyaniks are whipping up a range of traditional and innovative ice cream flavours, from old favourites like pistachio and hazelnut, to the ever-popular baklava and moreish tahini. There's even an unlikely, but delicious, combination of melon and feta. In early 2016, Newtown's Gelato Blue went 100 percent vegan — it kissed all animal products goodbye and became Sydney's first-ever plant-based gelateria. Now, sustainable coconut milk provides the basis for its creamier scoops. Flavours aren't lacking lustre without dairy, either, with the menu featuring everything from spiced pumpkin pie to carrot cake gelato — with lemon frosting, maple syrup and actual chunks of carrot cake — to matcha and avocado and kaffir lime. Top image: Ciccone & Sons by Kitti Gould. Fails to mention what remains the best gelato of all in Sydney: Pompeii Gelato, genuine Italian, truly organic unlike most here and less sugar but more true flavour than Messina.